Peter Frampton: "(W)hen I do finally kick the bucket it's going to read 'Frampton drops dead', it's not going to say 'Frampton Comes Alive! ', anymore." 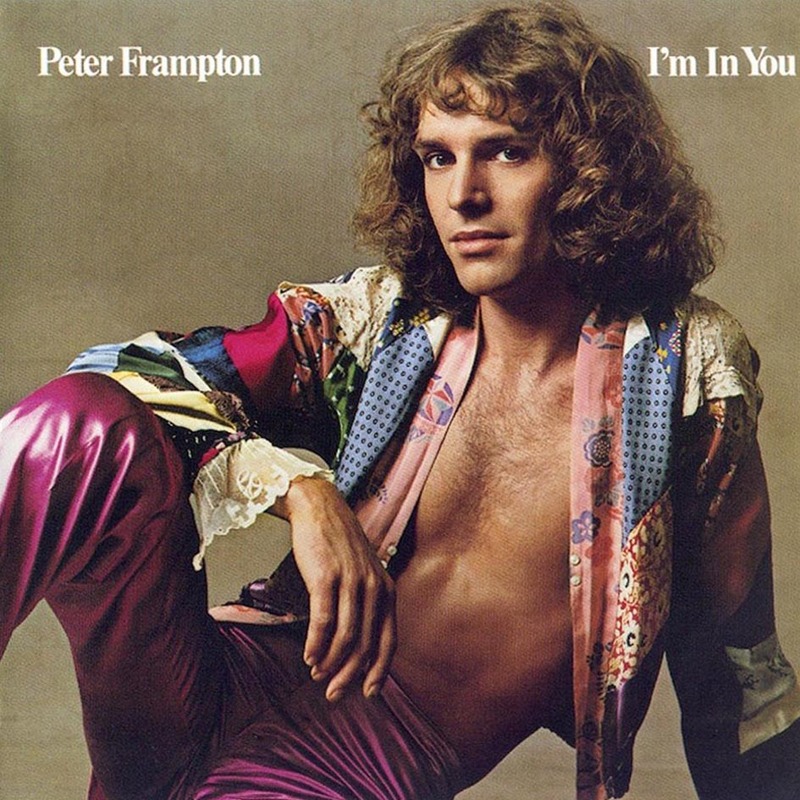 Few artists have endured such a meteoric rise to success, and as swift a fall from grace, as Peter Frampton. At the beginning of 1976, the English guitarist and singer/songwriter was primarily known among diehard rock fans for his stint in Humble Pie with Steve Marriott, and his impressive talent and energy as a live performer. Just a few months later, on the strength of his new live set Frampton Comes Alive!, Frampton was the biggest selling artist on the planet, with millions of music fans spanning multiple continents catching on to his sensational live musicianship. Not exactly a "overnight success", but not exactly a slow rise to the top, either. The next part of Frampton's story is well-established in rock music lore; the relative critical disappointment (spurred on in part by the cheesetastic cover) of his follow-up album, I'm in You; a highly-publicized appearance in one of the worst films of all-time; and a near-fatal car accident in 1978, resulting in a concussion, serious muscle damage, and multiple broken bones. Less than three years removed from his stunning rise to commercial preeminence, Frampton's career had taken a sudden and dramatic downward turn. Frampton released a string of modestly-successful albums in the '80s and '90s, but has returned with a vengeance in the 21st century; his 2006 instrumental album, Fingerprints, won a Grammy, and in recent years he has embarked on a series of well-received, sold-out tours throughout Europe and North America, including an extremely well-received 35th-anniversary tour for Frampton Comes Alive!. 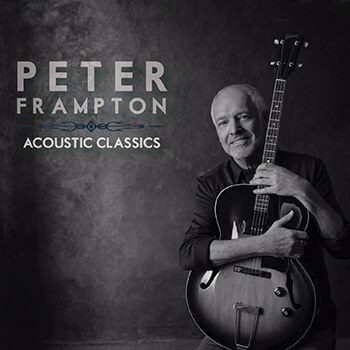 His newest effort, Acoustic Classics, represents Frampton revisiting and reinventing his back catalogue, featuring acoustic renditions of many of his biggest hits. 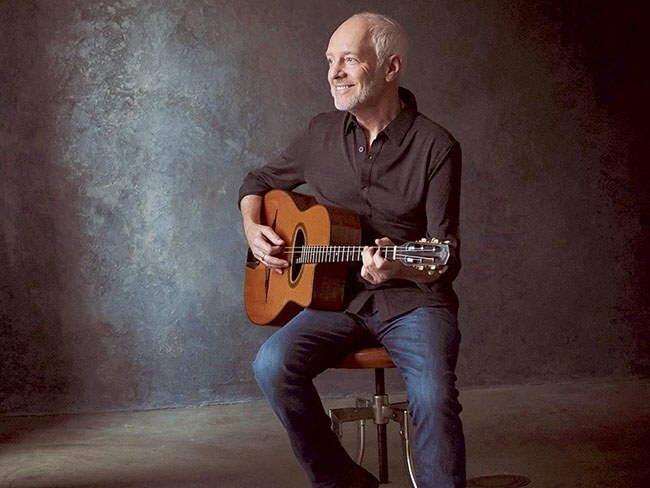 Frampton is in fine voice throughout Acoustic Classics, and brings a hard-won maturity and new sensitivity to classic rock staples such as "Show Me the Way" and "Do You Feel Like I Do". When I spoke to Frampton from his home in Nashville, I wanted to better understand a man whose experience of commercial success and subsequent disappointment is virtually unparalleled, and how this experience impacted his artistry in the decades that followed. What I discovered was a man who is surprisingly frank (and funny) about his creative process, his triumphs and missteps, and performing "Baby I Love Your Way" for approximately the seven-millionth time. I'm enjoying the new album. It sounds like it's just hanging out in a living room, with you playing demos for me. I think when most people think of your musicianship, they think of you with a Les Paul, with an electric guitar. Would you say that you feel as comfortable playing the acoustic guitar as you do playing the electric? It's more of a challenge. It's much more difficult to play what I want to play on acoustic than it is on electric, obviously. Doing these acoustic tours -- now we've done two -- I'm playing acoustic for two and a half hours every night. Yes, I feel I'm much more at home ... I've always felt at home on an acoustic, writing, but now playing all the solos and everything acoustically has been a huge challenge. That's what I love, doing the acoustic album, and why I like [playing the "Raw" shows], because it's completely different. You get to tell stories, and it's like sitting in front of a huge audience in your living room ... We keep it down to about a thousand seaters, 900, 1,200, that area, and very nice old theaters. It could never be done in big halls, it's not that kind of a show. It's very intimate, and it's like, as you said, sitting up there playing demos of new songs, except they're all old songs, except for a couple. I'm basically going through my history: pre-Humble Pie, Humble Pie, and all the way through to today. Speaking of challenges, I think it can be tricky sometimes for an artist such as yourself to rearrange and re-record old songs that everyone knows and loves while staying true to the spirit of the original recording. How did you decide which songs to include on the acoustic albums? It was very plain to me, early on, when I went in [to the recording studio] I said "Well, I'll be able to do this album in three or four days." Ha ha ha, famous last words. I did "Show Me the Way" and "All I Want to Be" the first day, came back in the control room and listened to them, and was let down because it sounded to me like I was performing them 40 years on with the band, but there was no band. It was just me. So it's interesting you said "how did I choose, how did I go about it, stripping it all away?" I realized that what I wanted to do was go back to it as if you came over for coffee tomorrow, and I wrote a song tonight, and I said "Hey, look, I just want to try this out on you, do you mind? Here's a coffee. I wrote a song last night, and I want to play it for you." I play you the song, like it's just been born last night. The performance you would get would be highly personal, and very emotional performance of a brand new song. I can't do that, obviously, because I didn't write them all last night, but that was the attitude I wanted the listener to be able to hear. So I did reverse engineer all the songs, and took them back to where I thought they started [from]. Once I got my motive for doing these, and the way to do them, it became much easier. [ ...] It had to be that I would feel, all the way through, that I was just playing them to you, and not to a whole audience ... From what you said, you put it nicely, you said "It's like listening to you doing your demos." Well, absolutely. It was that kind of laid back kind of feel. But it wasn't something I did overnight. Talking about performing, I was watching some YouTube videos of your live performances. I read one comment that I found interesting. The commenter wrote, "I've never seen a performer who smiles more onstage." It's true: you smile a lot onstage. That seems to be a constant, watching videos of you in the '70s compared to more recent stuff. How do you think you're different as a performer today, compared to the mid-'70s? Do you feel like a different performer today, compared to back then? You don't get that when you play live. It's one take a night, you know. That's the dangerous part that I ... I love living without a net. Even though I've played these songs for many years, each tour we introduce new songs, whether they be mine or covers. So there's always something new, I'm always trying to do new stuff as well as placating everyone with what they really want to hear, which is the old chestnuts, you know. Going back to the mid-'70s, was there a certain moment or experience when you knew that Frampton Comes Alive! was going to be this massive phenomenon? When did you first know? There were various telltale signs that sort of slapped me in the face and said "Wake up, something's happening here." The first was when we finally mixed the single album, and then Jerry Moss of A&M heard the single album and said "Wind of Change" isn't on, or whatever. So I said "Oh, you want a double album?" He said "Of course, yeah, I miss all the other [songs]." So we thought from a budgetary standpoint we would just do the one, and so we went out and recorded some more and there it is. So we'd finished mixing that, and it was like January of '76, just before the record came out and I knew we were going to be working nonstop for that year. We were booked. So I went to the Bahamas for a vacation for ten days. Before I went, we had one show booked in Detroit, and it was selling really well. When I came back [to the US] ten days later, we had four sold-out shows there. Yeah. That was the first sign. That was the week the record came out. So, things were happening anyway with my career. 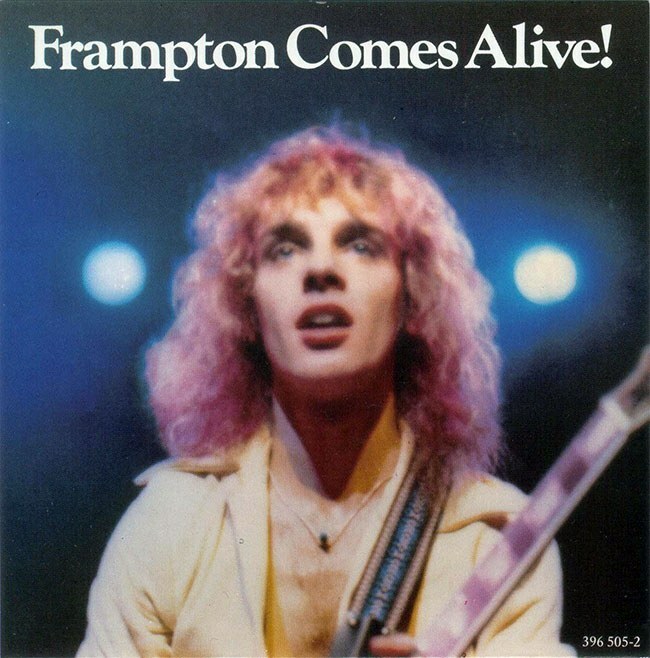 It was almost before people heard [Frampton Comes Alive!]. Anyway, the album comes out I think second or third week of January, and then all hell breaks loose. It sells a million records in the first few weeks. That's when my manager called up and said "Are you sitting down?" I said "Yeah." He said, "Well, your album went to number one on Billboard." I said "You're kidding me." He said "No, it's number one." It pretty much stayed there for the entire summer. How did that moment feel? Sitting there hearing your manager tell you that? Did your head explode? Like, what happened? It was like "Oh my God, this is fantastic." I couldn't believe it. I had never expected ... I'm not a good thinker of tomorrow, looking forward. I live day-to-day. It's much easier for me that way. Then about two months later, we're into the summer now, I'm in some city playing, and the phone rings and it's my manager again, and he says "Are you sitting down?" I said "Oh God, what's going on now? What's with this sitting down business?" [laughs] He said "Well, you need to sit down for this one." I said "OK." He said "You have now beaten Tapestry, the biggest selling record of all time, Carole King's record, you now have the biggest selling record of all-time." That's when my stomach got a little weak, at that point. Because I thought yes, it's very exciting, but it was also very scary. From that moment onwards I realized that things might be a little difficult from here on out. And they were. Why was that your feeling? Why was that your initial response, in that moment? I was right: everybody wanted me to rush and do another record, whereas my idea was to tour, tour the record worldwide, saturate the world which is what was happening at the time, I had nothing to do with that. But just go 'round the world and solidify that in places I'd never been, and then come back and wait a couple of years. Write some songs, you know? I didn't have that opportunity, because I didn't, at that particular moment in time, I wasn't in control of my own career because I didn't want to be. I thought I'd better look to all these people that have all this experience. But no one had had the experience that I'd had. Which is: I'm now the biggest selling artist in the world and the rules went out the window. This is something completely different. Basically, you had to make up new rules. The best thing would have been ... Not that I wish to change anything, but I just wish that I'd had a couple years, and waited to put another record out. I'm sitting here feeling so silly, because I've never thought of it in those terms. For most people, their first exposure to you was Frampton Comes Alive!, and it's like someone releases a "best-of" or greatest hits album [for a debut album]. How do you follow that? I never thought about it like that. I didn't realize it at the time, either. No one did. Everyone thought "Oh, well just go do another record." "OK. How do we do that? I haven't got any songs right now. How long would you like to give me to do that?" "Well, you can do that in a couple of months." No, you can't. The all-time greatest, greatest. Now she has a Broadway show, and she is the most phenomenal songwriter. So, yeah, it was a wonderful, scary moment. Do you ever get sick of people like me asking you about Frampton Comes Alive!? You've made a lot of music over the years, but for most music fans that is the album that still defines you. Forty years later, do you ever get sick of that? There was a stage, probably in the '80s when I got a little sick of it. But then I realized that, like it or lump it, you know, when I do finally kick the bucket it's going to read "Frampton drops dead", it's not going to say "Frampton Comes Alive" anymore. So, that will be the first: "Known for Frampton Comes Alive, Mr. Frampton Is Dead." [laughs] Yeah, I wish I could be around to see the headline, to be honest. "Frampton drops dead -- no worry of him ever coming alive again." No, I don't mind talking about it, because I'm very proud of it. You know, if I was going to have a big hit -- it's such a great performance, great band, great songs, great solos from everybody. It was a near-perfect live record for me, for those who like my music, obviously. Obviously there were quite a few of them, so I never mind talking about it. It's like I never mind singing my hits onstage. Because I might not choose to do them every night if I didn't know that there was a "google-eyed" look on everyone's face when I did that special song that means so much to them personally, you know?